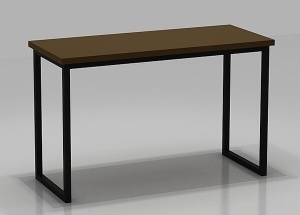 This black clothing display table is widely used to display clothing, dress, pants, shoes, bags. It can be used in women clothing shop, man's shop, kids clothes store, baby shops, shoes and bags shop. 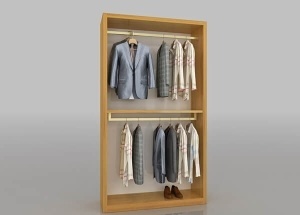 This clothing store fixtures: vertical veneer finished, laminated deck, shelves, rear panel, hanger rack, spot light, logo, toe-kick. It provides a custom look with a factory price. 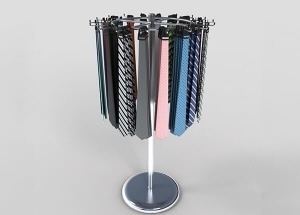 This round hanging display racks are made with stainless steel. It provides a custom look with a factory price. 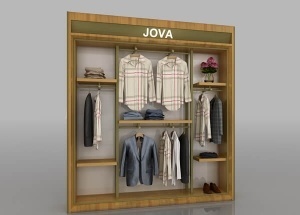 This retail clothing wall display: vertical veneer finished, laminated deck, shelves, rear panel, hanger rack, spot light, logo, toe-kick. 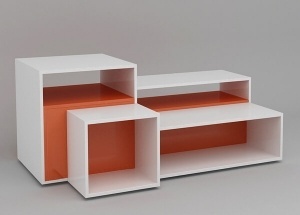 It provides a custom look with a factory price. 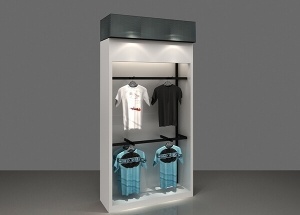 The white cloth display rack has 2 layer metal displays which can be removed fitting your products. 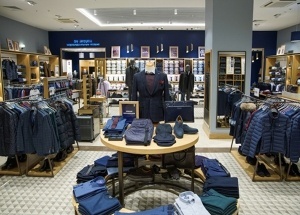 It's widely used to display clothing, dress, pants, bags, shoes for women, man, kids, baby shops, boutique stores. It is made by wooden, metal, lights and fixtures, etc.